Ever wonder what it would be like if you had a relaxing and enjoyable yoga class twice a day in the fresh open air surroundings of mother nature? Rather than being cooped up in a fitness class without much for views or bright light, why not think about having that same class on a gulet. 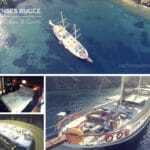 It’s a classic Turkish gulet charter with a private class of yoga lovers. Soaking up the clean air, surrounded by nothing but pine trees, palm trees and olive trees. Unique isn’t it? Your outdoor air conditioning is the soft morning breeze. 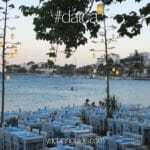 The foods are fresh and tasty – totally Mediterranean but with the healthy dosage of freshness and less fat. To top it all off, an additional holiday pleasure is included. 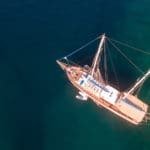 Yes of course, a yoga gulet cruise involves not just your time on deck doing yoga exercises but also many other activities – or no activities at all. Just pure peace and quiet while relaxing during your leisure time outside the classroom. 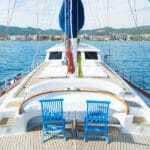 Try a gulet cruise Turkey – yoga style holiday and see the difference. So, will it be the fitness salon or gulets?